I've noticed an inadvertent theme to several of this week's pie posts: Southern pies! 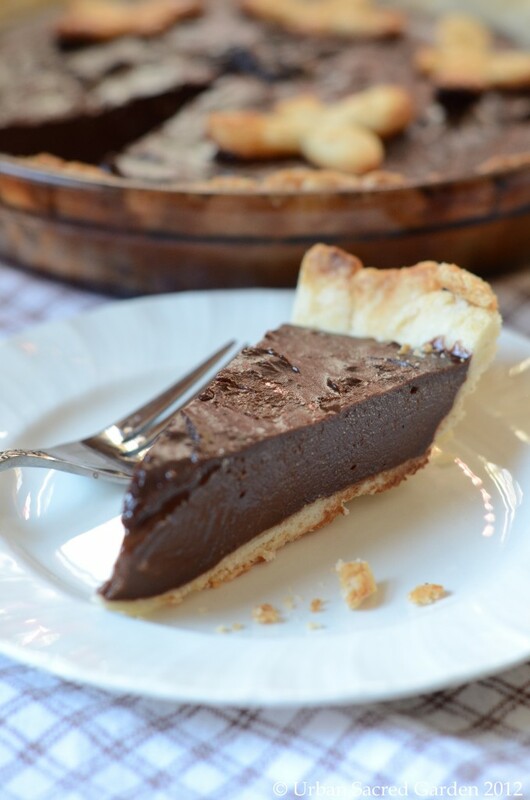 This chocolate pie was made by Jessica of Urban Sacred Garden who I had the good fortune to meet earlier this year at FoodBlog South. She originally made it for a Oscar party representing Minny's chocolate pie from The Help and judging from the comments she overheard, it was a winner. I love that is is topped by coconut whipped cream, coconut and chocolate is one of my favorite combinations but I know coconut can be polarizing so anyone who is a coconutaphobe can just leave it off. Check out the recipe at Urban Sacred Garden.